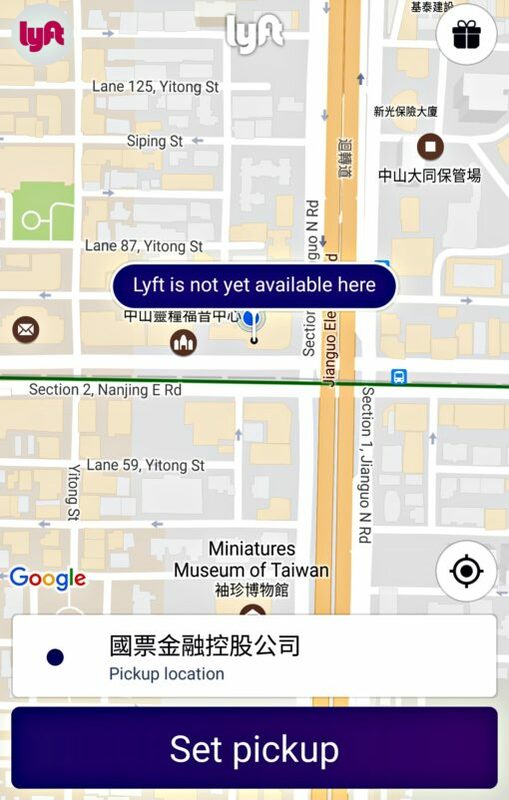 Update: Is Lyft available in Taipei, Taoyuan or anywhere in Taiwan? 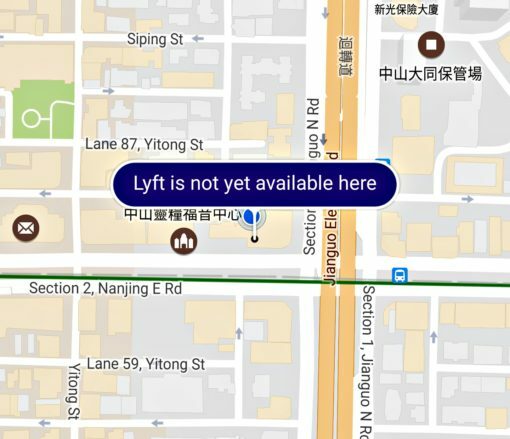 During my recent trip to Taipei, I was hoping to use one of my remaining Lyft credits. Bummer. As we’ve discussed before, we prefer Lyft. Unfortunately, Uber was the only ridesharing service that was available there. It’s especially a bummer considering their passive support for Donald Trump. UPDATE: Reuters is reporting that Uber will end their services in Taiwan due to recent regulations and fines aimed at Uber specifically.